Letting go of paper is difficult. The reasoning often goes like this: If they sent it to me it must be important, so I should keep it. Thus, the tendency is to keep everything and that tendency is mostly fed from fear. 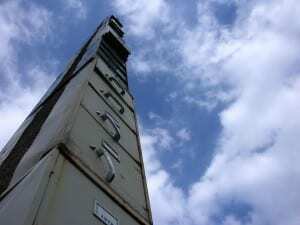 Almost universally, my clients say they are afraid to let go of paper. Afraid they might need it. But when I ask in what scenario do they imagine needing it, they draw a blank. They don’t have an answer. They feel afraid and that’s all that matters. They reason they feel afraid is because they aren’t empowered with clear guidelines. Having clear guidelines makes the decision process exponentially easier. Guidelines create confidence. When you are confident about your decisions you feel in control and sorting through paper becomes less of a burden. Before we get to the guidelines, I think it’s important to briefly discuss the reasons why paper comes into our lives. Let’s start with bills. Bills are sent because the creditor wants to be paid, not because the creditor wants you to have a record of your transactions, that’s really just a bonus. Somethings, like updates to privacy policies, are sent because there is a law in place saying they must be sent. Somethings come to you because the sender wants to convey a message and paper was the vehicle of choice. The point I want to make is that you do not have to keep something just because it was sent to you. You should keep the things that make a difference to your financial or legal well being. And that differs from person to person. Beyond that, what you decide to keep is purely optional. Here you can download the What Papers To Keep & What To Toss Guide. While I hope the guidelines empower you to let go paper clutter, I also want you to feel comfortable. Sometimes baby steps are best. Letting go of the excess paper in stages can ease the transition. Here are some simple ideas to help you eliminate paper clutter. And don’t forget, questions are always welcome! You can use the comment section below, or better yet, pop over to our private group page and ask anything you want. Our group is a great place to find support and inspiration, plus tips and members only goodies! 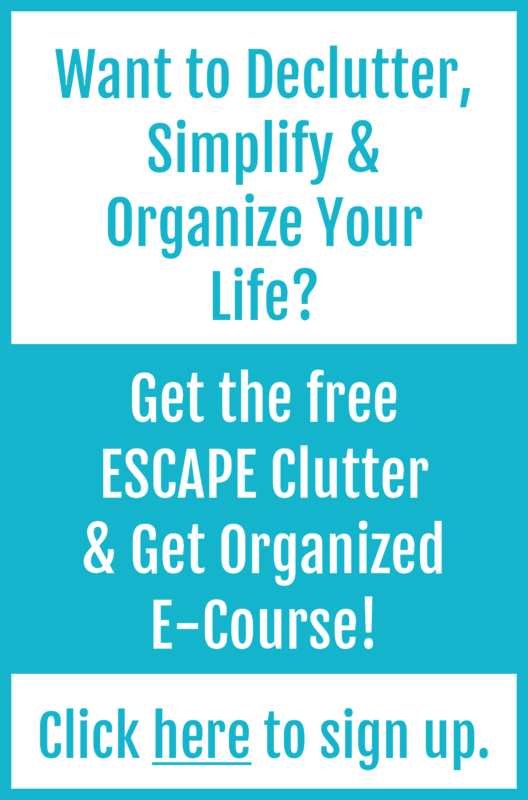 If you haven’t done so already, I’d invite you to get the ESCAPE Clutter and Get Organized E-Course. It’s a free resource to help you declutter your life, organize your space and manage your time.